The original batch of Whipped Cream Frosting, made back on the 11th, was definitely a hit in the household and went pretty quick. It was used on cookies, fruit and ice cream. 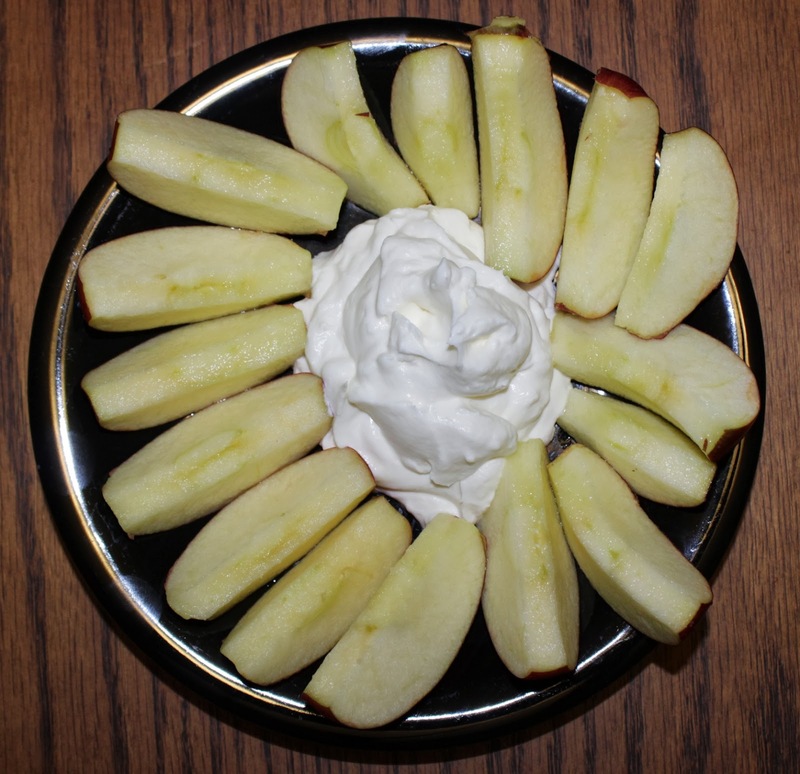 We decided to pick up some more fruit this weekend and re-make the whipped cream with cinnamon oil flavoring, which tastes amazingly great with apples! Oil flavoring is more potent, so you only use about 25% of what the recipe calls for in extracts. This time my youngest child helped make the recipe and he had a lot of fun watching the mixture change.